If you and another person, such as a family member, spouse or work colleague, both have busy schedules, then keeping them organized can be difficult. 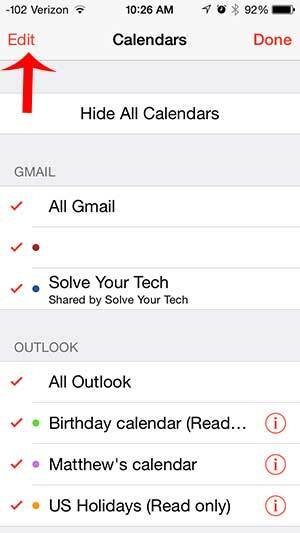 One way to alleviate this problem is to keep a calendar that you can both access. 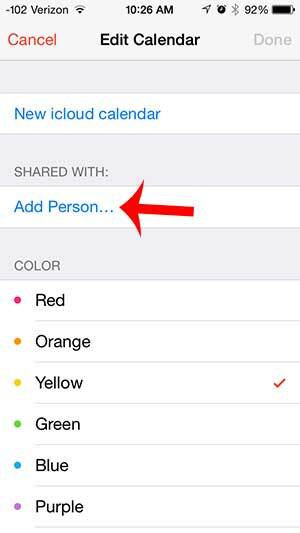 A simple way to do this is to share an iCloud calendar from your iPhone 5. 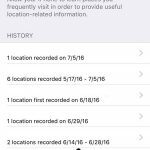 Since you likely have your iPhone with you most of the time, quick access to that shared calendar can help ensure that you do not miss anything important. 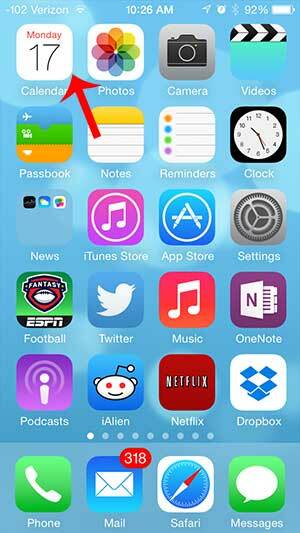 The tutorial below was written on an iPhone 5 that is running the iOS 7 version of the operating system. 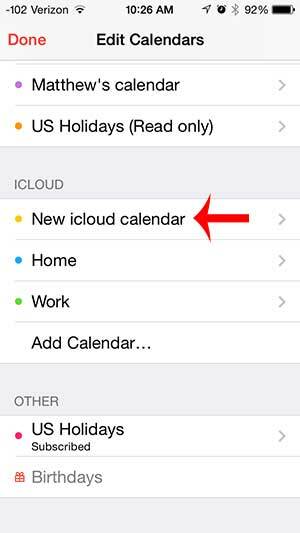 Additionally, sharing an iCloud calendar will require the person with whom the calendar is being shared to have an iCloud account as well. Step 1: Touch the Calendar app icon. 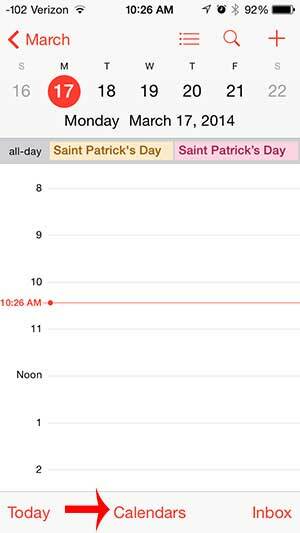 Step 2: Touch the Calendars option at the bottom of the screen. Step 3: Touch the Edit button at the top-left of the screen. 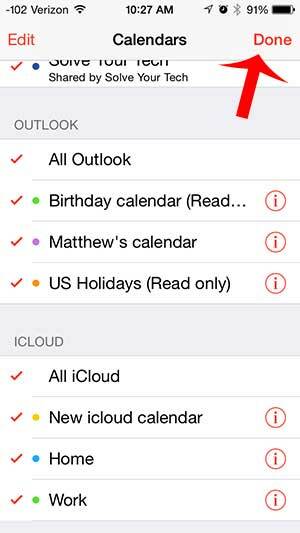 Step 4: Touch the iCloud calendar that you want to share. 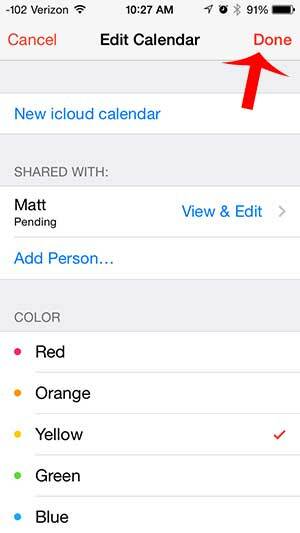 In the image below, I am going to share a calendar that is named “New icloud calendar”. Step 5: Touch the Add Person option under Shared With. Step 6: Type the email address of the person with whom you want to share the iCloud calendar, then touch the Add button. 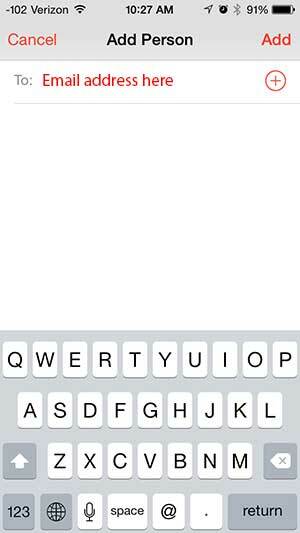 Step 7: Touch the Done button at the top-right corner of the screen. Step 8: Touch Done at the top-left of the screen. Step 9: Touch Done at the top-right of the screen. Once the person accepts the shared calendar invitation you will both be able to add and edit calendar events on the shared calendar. 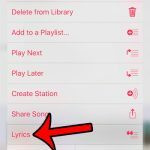 Do you want to create a new calendar specifically for shared events? 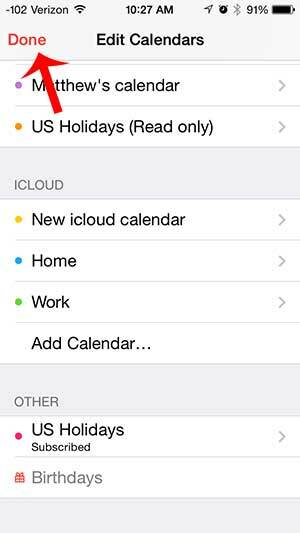 This article will teach you how to create a new calendar on your iPhone in iCloud.